Deep down I'm just a big kid, and I've been wanting to do this for a while now - I just wasn't sure the best way to do it. Then I thought I would give myself a challenge and try and look for books based on each letter of the alphabet. Although that then left me with a dilemma - which one book to choose, especially as there is definitely more than one book that starts with the letter A or the letter C, for example. So I may have cheated - but just a little - and shared more than one book in a few letters, but I couldn't help myself. I did struggle with two letters - Q and X. As hard as I tried, I couldn't find anything - so if there are any recommendations for those letters out there please let me know. In the end, I found a good number of books (not all I found are included in the list) and it was really fun learning about the different ones out there.I think I was also able to get quite a few different countries - Ethiopia, Ghana, Ivory Coast, Nigeria, Mali, Morocco, Senegal, South Africa and Zimbabwe to name some. It's also in no way an exhaustive list, and I have also focused more on books in English (and a few that have been translated into English). If there are recommendations for books in other languages please also share. Finally, I've only read a few of these books, so this is also my own little list of books I am looking forward to read (think I'm making up for not reading that much African kid lit as a little one). 'Nuff rambling! Here we go - an (almost) A to Z of African Children's Literature. 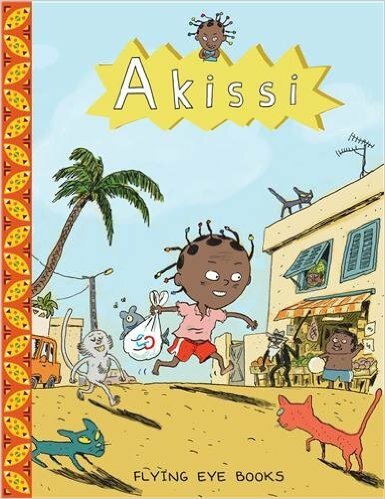 A is for Akissi which follows the adventures of a West African girl. The neighbourhood cats are pursuing her to steal her fish, her little monkey Boubou almost ends up in a frying pan and she's nothing but a pest to her older brother Fofana, but Akissi is a true adventurer, full of silliness and fun, and nothing will scare her for long! 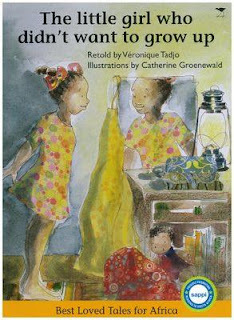 A is also Ayanda: The little girl who didn't want to grow up (retold by Veronique Tadjo). Little Ayanda loves her father with all her heart. One day he goes away, and doesn't return. She is so sad that she decides she doesn't want to grow up. So she stays small for a long time, even when her friends tease her. One day her mom gets sick and she changes her mind. She grows bigger so that she can help her family. But when trouble strikes her village, is she big and brave enough to save everyone? 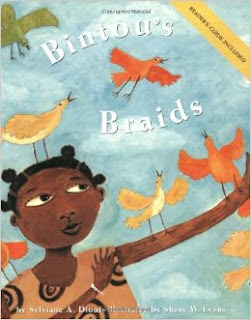 B is Bintou's Braids. Bintou wants braids. Long, pretty braids, woven with gold coins and seashells, just like her older sister and the other women in her family. But she is too young for braids. Instead, all she has are four little tufts of hair all she ever gets are cornrows. However when Bintou saves the lives of her two young cousins and is offered a reward of her choosing. Bintou discovers that true beauty comes in many different forms ... and she is perfect just the way she is. 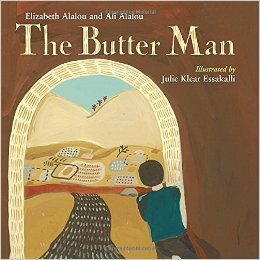 B is also for The Butter Man. As young Nora waits impatiently for her mother to come home from work and for her father to serve the long-simmering couscous that smells so delicious, her father tells her about his childhood in Morocco. During a famine, when Nora's grandfather had to travel far to find work and bring food for the family, her father learned the valuable life lessons of patience, perseverance, and hope. C is for Chicken in the Kitchen. What would you do if you woke up one night to find the shadow of a giant chicken passing your bedroom door? Go and investigate of course! 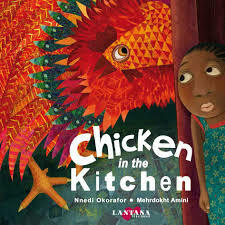 When Anyaugo follows a giant chicken into her kitchen one warm night in Nigeria, she embarks on a hilarious adventure where nothing is quite as it seems. Is the nature spirit that lives in the wooden walls of her house a help or a hindrance? Is the mischievous giant chicken a friend or a foe? 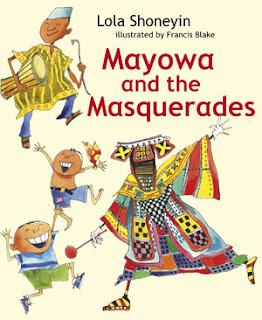 Most importantly, will Anyaugo be able to save the food her aunties have cooked for the New Yam Festival the next day? D is for Dancing Star. Thando doesn't like sports because he can't run very fast. The other children at school laugh at him and this makes him cry. Then one day one of the teachers suggests that he comes to her dance classes. 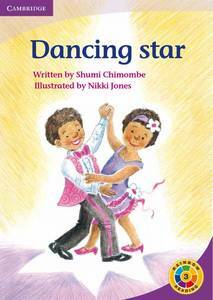 Thando learns to dance and discovers that he is very good at dancing. He practises hard for the school dance and is the star of the show. E is for Eno's Story. Eno lives happily with her father, until one day he disappears in an accident. Her uncle says that she is a “witch” who has caused her father’s death. She goes through many struggles before moving in with other children who have also been called “witches” and have been sent away from home.This moving story, with moments of humour and sadness, shows how Eno uses courage and her imagination to make the best of a difficult situation. 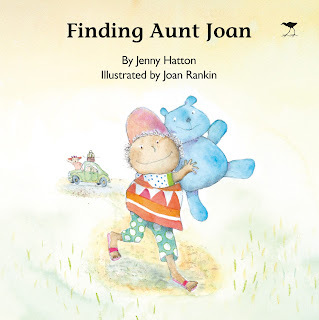 F is for Finding Aunt Joan. 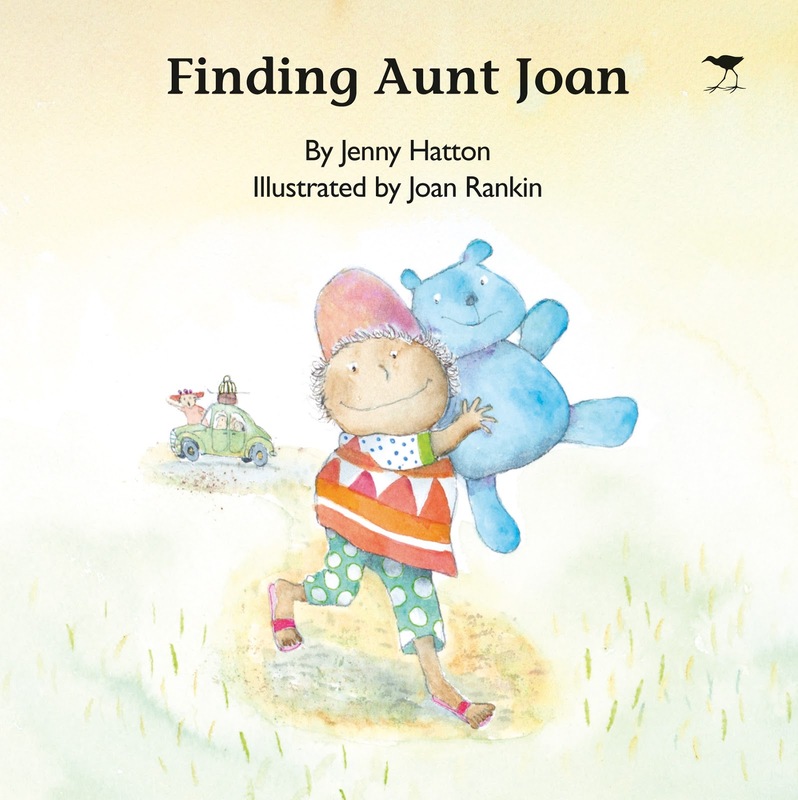 Children will easily relate to the stories which reflect true to life events such as going on a journey, moving house and a visit to the beach. 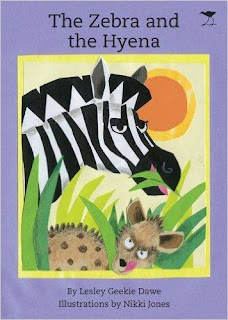 The rhythmic text of the Lucy books will help build children’s reading skills and confidence while they are absorbed in the humorous illustrations and the lives of Lucy’s family. G is for Grandma Nana. Grandma Nana loves all children and all children love her. She tells them wonderful stories and poses riddles which makes them laugh together and she knows the names of all the ancestors, and which plants can make us well. She also has a very special doll, unlike any the children have ever seen. G is also for Grandma's Humongous Suitcase. 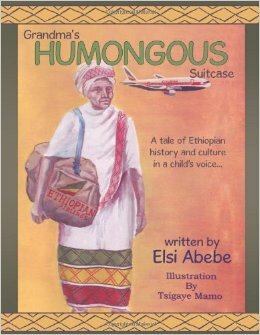 A tale of Ethiopian history and culture in a child voice. 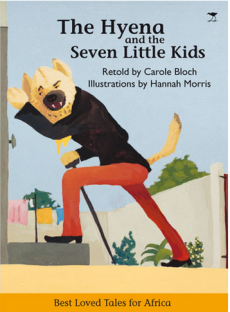 H is for The Hyena and the Seven Little Kids. Gogo Goat warns her seven little kids not to let Hyena into the house while she is gone. The crafty hyena does his best to trick the kids into letting him in! Will the seven kids be safe from Hyena? Who tricks who in the end? 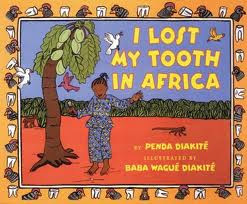 I is for I Lost My Tooth In Africa. 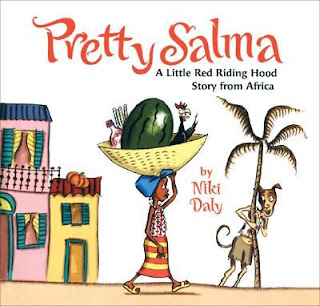 A charming, original adventure story about losing a first tooth while visiting family in Mali. More than anything, Amina wants to lose her loose tooth while visiting her family in Mali, West Africa. Only then can she put it under a gourd for the African tooth fairy, who will exchange it for two chickens! Happily this happens, and even better, the chickens lay eggs. But will the eggs hatch before it's time to return home to America?. 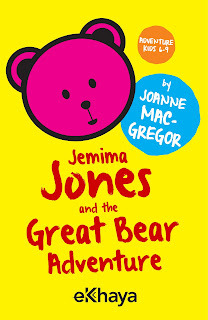 J is for Jemima Jones and the Great Bear Adventure. Jemima Jones is a little girl who dreams of growing taller and having splendid adventures. Her mother thinks she’s creative, but her grandmother thinks she’s a story-teller. Her teenage brother calls her a brat, but her father calls her Sweetpea! Jemima likes to explore and investigate and imagine. Most of all, she loves to press buttons – the bigger and shinier, the better. It’s a good thing Jemima has a fine imagination because she has never actually met a real pirate, or a kidnapper, or even a man-eating tiger. So when Mrs Jones announces that there’s special treat in store, one that involves a bear, Jemima can’t wait. She goes to sleep dreaming of fierce polar bears and wild grizzlies! A fantastic adventure awaits Jemima and her new friend Ravi Naidoo - a day stuffed full of excitement and peril (and even some bright, shiny buttons). J is also for Jamari's Drum. 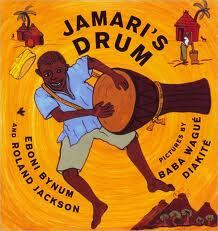 When Jamari was a young boy he played in the village square to the beat of the great village drum. He loved the sound of the drum and would often sit at drummer Baba's feet. Why do you play every day? he would ask.The drum is the keeper of peace in the village, Baba would tell him. Time passed but Baba still beat his drum. He tells Jamari that one day he will have to carry on the ways of the village — it will be his turn to beat the drum to keep peace.But little by little, Jamari forgets about beating the drum until, one day, disaster threatens everyone in the village. The great mountain, Chafua, has erupted, and it seems that the end of the world has come. Fortunately, Jamari remembers Baba's wise words and finds a way to restore the peace. 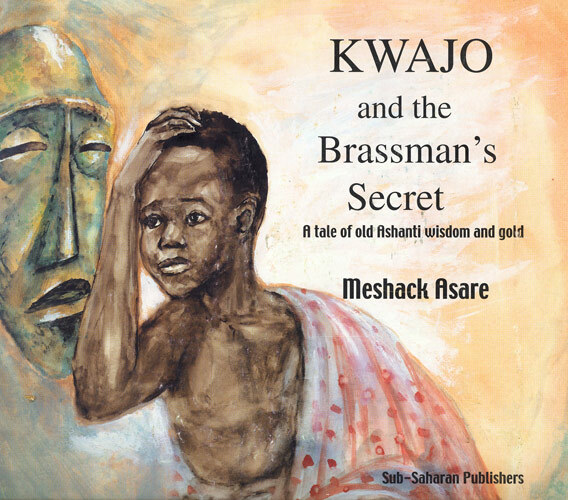 K is for Kwajo and The Brassman's Secret. Kwajo's father makes traditional small figures. One day, he makes him a little brass drummer who comes alive and transforms Kwajo into a land of proverbs and riddles. It is a land where the figures represent money, and the people are citizens in a powerful kingdom. 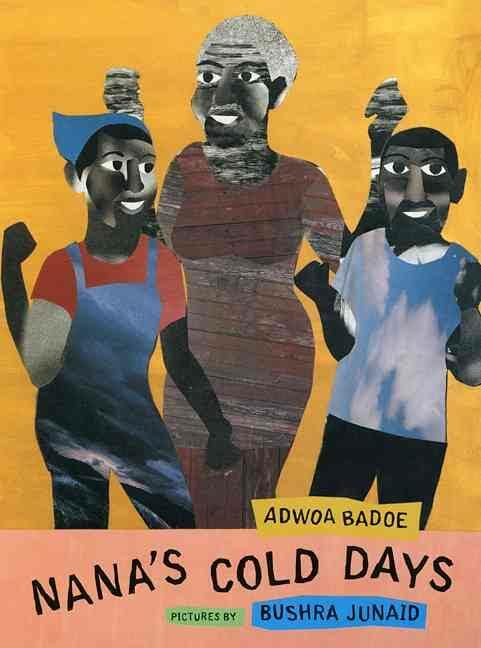 Kwajo is tempted by riches but must first decode a series of riddles and symbols. He falls at the last test, but nonetheless learns an important lesson. 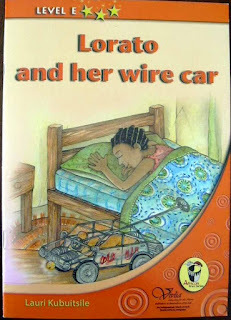 L is for Lorato and her Wire Car. Maybe it was the windows she made from the clear plastic of an empty Coke bottle, or the fake leather seats she constructed using an old hand bag of her mother’s. Perhaps it was the seats with stuffing she pulled from an old pillow.Or maybe it was the doors that opened and closed and locked shut with a turn of the little wire handle or the wheels, made from empty drink tins, covered with real rubber from a split tyre. Whatever it was, everybody knew Lorato’s wire car was special, and every kid in her village had greedy green eyes whenever she took it out for a spin, but none more so than Motshereganye. 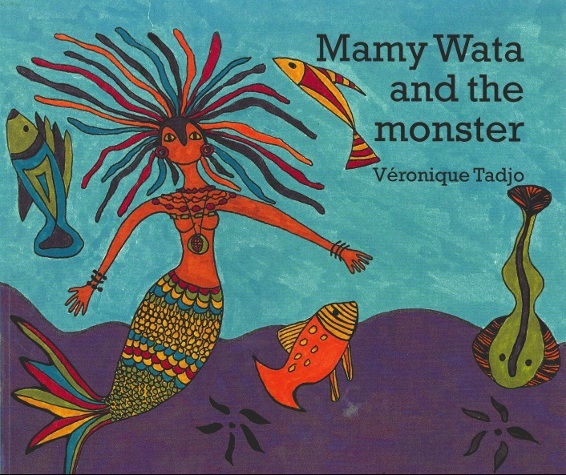 M is for Mamy Wata and the Monster. Mamy Wata is swimming peacefully in a big river when she hears that a horrible monster has been frightening people in the surrounding villages. She waits in the monster's cave to confront him, but when the monster begins to cry, Mamy Wata is touched and wonders how she can make him happy again. N is for Nyama and the Eland. This is the coming-of-age story of Nyama, a young San girl. As she listens to her grandmother's traditional stories. She takes part in a traditional ceremony that leads her on her own journey to finding out more about herself and her people. N is also for Nana's Cold Days. Nana is coming to visit from Africa, and grandsons Ken and Rama have been looking forward to her visit for months. But it's icy cold when she arrives, and all she can do is drape herself in covers -- three blue sheets, three red blankets, and three pink comforters. 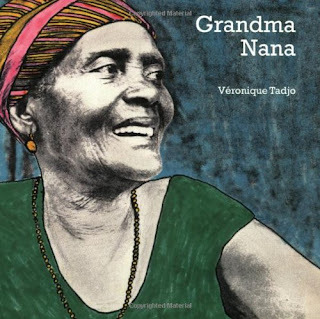 No one can dream up a way to entice Nana from her nest until she becomes ill. When Nana feels better she quickly takes the situation in hand and solves everyone's problems once and for all. O is for Once Upon a Time. When Sarie's teacher says, "Children, take out your reading books," a sick feeling grips Sarie. The words trip up her tongue and she stutters and stammers, making the children in the back row giggle. But there are two people who sympathise: her schoolfriend Emile, and Ou Missus, the old lady living over the veld. One Sunday, Sarie comes across an old copy of Cinderella and begs Ou Missus to read it to her, Ou Missus says, "No - we will read it together." Sarie's confidence grows, until the day comes when the school principal says to Sarie, "You read beautifully!" P is for Pretty Salma. This up-to-the-minute 'Red Riding Hood' story is set in a South African township with market traders, a crazy-eyed rooster, Anansi the storyteller and a no-good, slick, sly stranger calling himself Mr Dog. The comedy, thrills and shivers of the familiar story lead to a reassuring ending, and Niki Daly's tongue-in-cheek storytelling and hilarious pictures are flavoured with melon, ice-cream and fun. P is also for The Pot of Wisdom. Drawing on the rich vein of traditional African stories featuring the spider Ananse, this is a marvelously witty and entertaining collection of ten tales about this legendary spider swindler. The tales deal with important issues that everyone faces justice, money, marriage, vanity, self-respect, and more but couch the heavy lessons in lively folktales. 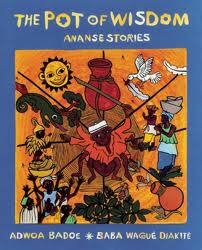 Ananse sometimes succeeds; other times he makes a fool of himself and is ashamed but never for long. Many elements of these stories can be found in other trickster tales, including those of African origin like the Uncle Remus stories and those of aboriginal American groups like the Native American coyote tales and the jaguar tales of Central and South America. Still searching for Q .... but R is for Refilwe. Refilwe, Refilwe, let down your locks, So I can climb the scraggy rocks!" In a cave high up on a craggy cliff, beautiful Refilwe is allowed to see no one but the witch who locked her away. One day, Prince Tumi hears Refilwe singing as he is riding his horse near her cave and he searches for the owner of the magical voice. Will Refilwe ever be free from the evil witch? Will she ever find true love? 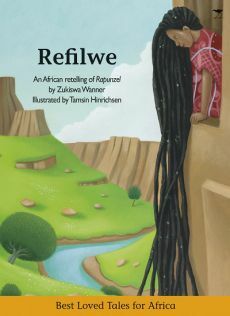 An African retelling of the classic fairy tale Rapunzel by one of our best loved authors, Zukiswa Wanner, with magical illustrations by Tamsin Hinrichsen will keep all children entranced, and grow a love of reading. Read aloud, read together, read alone, read forever! S is for Sofie and the City. 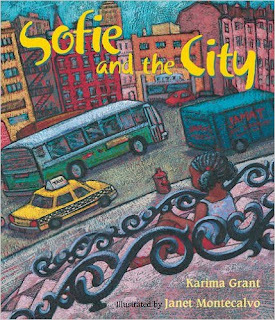 A heartfelt story about a homesick young girl whose new friend helps her learn to like her new home. Sofie doesn't like living in big American city and would rather go back to Senegal. "It is really too ugly here," she tells her grandmother on the phone. "I think I should come home." "Before you come back," her grandmother sayds, "you'll just have to make it pretty." But how can Sofie ever make the city pretty? It all begins when she meets a girl with a box of chalk. 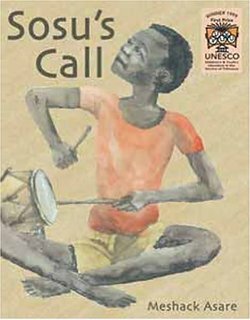 S is also for Sosu's Call.When a great storm threatens, Sosu, an African boy who is unable to walk, joins his dog Fusa in helping save their village. 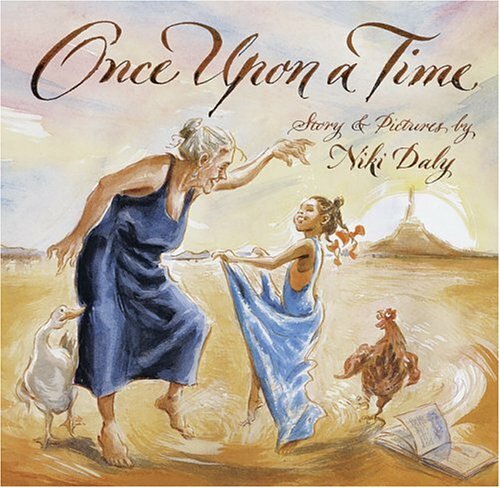 Beautifully illustrated on artpaper, the story tells of Sosu, a young disabled boy who cannot walk. Sosu misses going to school and all the activities of the other children. His village is on a lagoon, and one day when everyone is away fishing, working in the fields or at school, he raises the alarm with his drumming, and saves the village from total destruction by the sea. His heroism is rewarded when a wheelchair is donated and at last he can go to school. 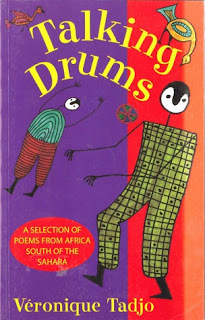 T is for Talking Drums.This selection of poetry for young readers concerns happiness and sorrow, life and death, humour and anger, and hope and delusion. It tells the story of Africa and Africans through their poetry. 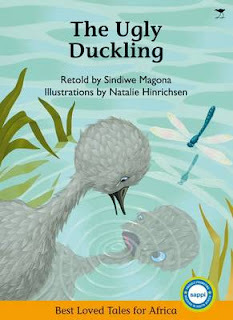 U is for The Ugly Duckling (retold by Sindiwe Magona). The poor ugly duckling looks very different from the other ducklings. His duck family tease him and make him feel unwanted even though he simply wants to be loved and belong. So he runs away and sets off on a long and lonely journey. Will he ever be loved and accepted for who he is? V is for Voice in the Forest. 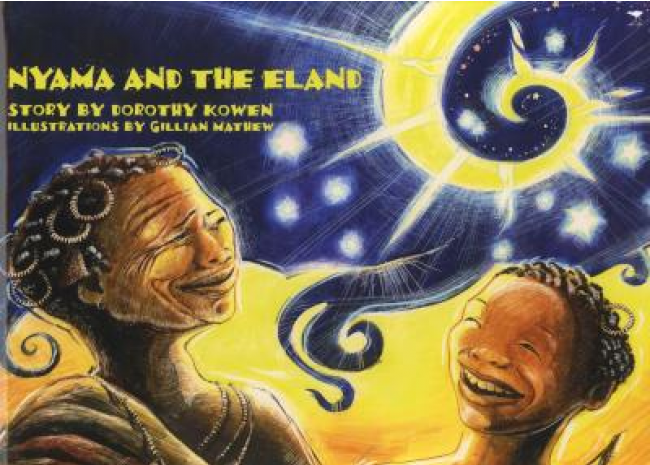 This is a gem of a children's book, shaped around the founding myth of an African village community, embellished with images of nature and fantasy, imbued with the cultural values of community and respect. 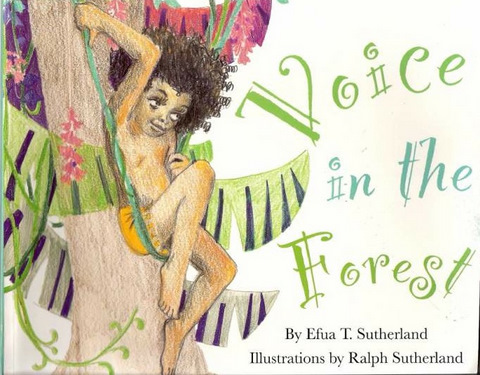 In this delightful Ghanaian children's story, a farmer finds and brings to his village a wood nymph, a creature of strange magical powers. W is for What's Cooking Jamela? 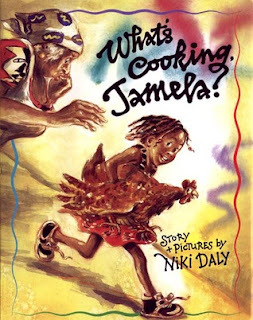 Mama plans a chicken dinner for Christmas Day, and she gives Jamela the job of fattening up their chicken. But seeing how happy Jamela is with her hen, she wonders just how she'll get it away from Jamela and into the pot. Smelling trouble, Jamela sets off the day before Christmas with the chicken in her arms and a trail of chaos follows - in the street, in the taxi, and even in Miss Style's hairdressing salon. However, as everyone agrees, you can't eat friends, and Christmas Day brings Jamela a delicious meal and the best present of all! Following the success of Jamela's Dress, this new Jamela book features the same delightful characters set in a South African township. X is on its way, but Y is for The Yellow Mosquito Net. Grace and Kemi are late for football practice. But after Grace falls into a gutter on the way, they discover the pitch is filled with people collecting colourful mosquito nets. With the help of their coach, the girls find out how much they can learn about malaria prevention by kicking a football. 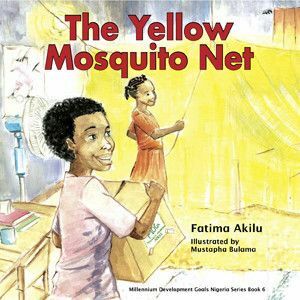 This entertaining story highlights the Millennium Development Goal of fighting malaria and other diseases. Z is for The Zebra and the Hyena. This is the story of how quick-thinking Zebra tricks the hungry Hyena into not eating him for dinner, with very prickly results. A delightful tale with striking paper collage illustrations. That's my (almost) A to Z. And if after you're done with these glorious books and want more, here's a list of websites doing wonderful things around children's literature. Review the ffg books. Our children loved it. Beneath the Baobab Tree, The Magic Calabash and The Grasshopper who could not Jump. 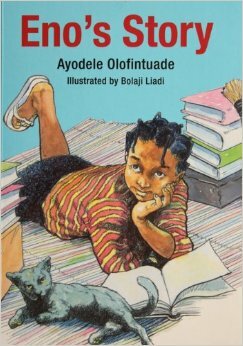 There needs to be diversity when reviewing books for children. Thanks for the recommendations - adding them to my list.